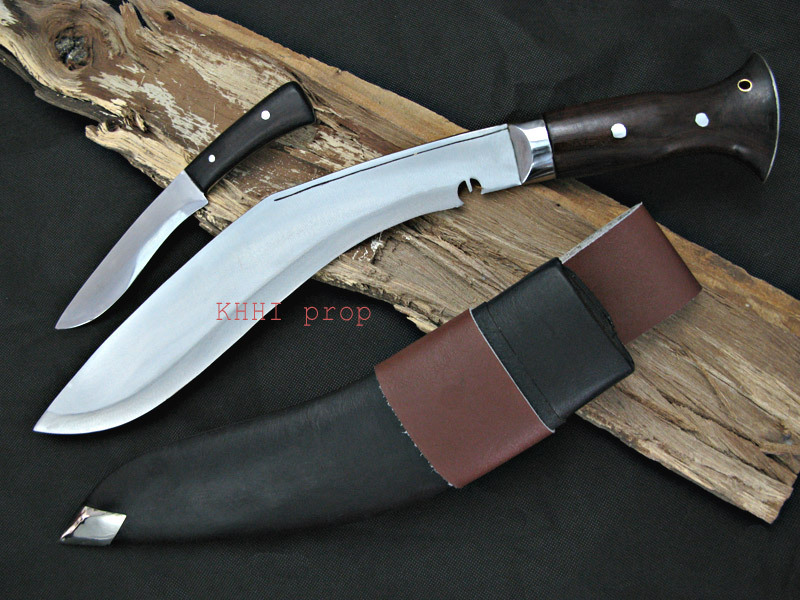 The wildest and widest collection of KHHI now gets even more wilder and wider by the inclusion of this unique and amazing khukuri, “the KUKRI machete”. Built for the kill, crafted to cut, designed to serve and survive and forged to accomplish a task, be it minor or major, the KUKRI Machete is truly an all rounder utility-survival knife when cutting, chopping, hacking, slashing, striking etc is the prime objective. 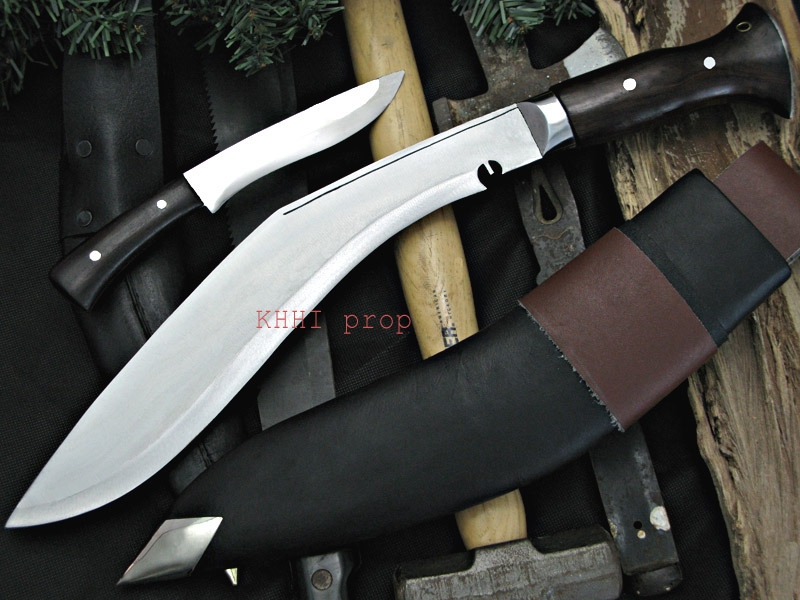 A rare and best kukri machete; in Gurkha Khukuri Style. Below we have tried our best to explain the technical making details of the machete kukri. We want you to know technical terms and process of making the machete kukri at Khukri House KHHI. This makes this machete knife, the best handmade utility knife in Gurkha Kukri Style in Nepal. 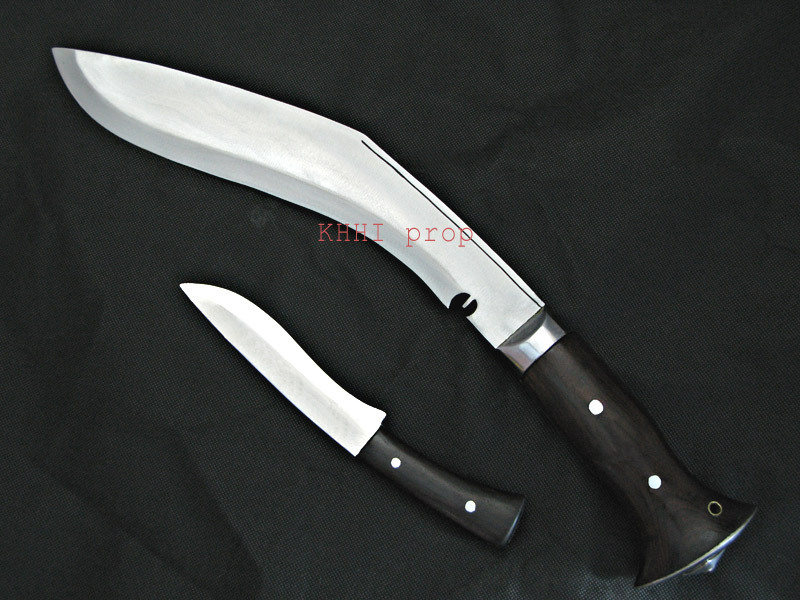 13 inch bladed knife with better and more reach, unpolished for strength and durability that also gives a typical macho look – traditional Jungle (training knife of the Gurkhas) shaped to uphold the Gurkha legacy. Handle is the strongest feature of kukri machete. Solid one piece wooden handle with the reinforcement of 3 x Rivets. Unlike the “Panawals” (2 x wooden pieces used), wider and flatter rat tail tang goes through the handle and is peened over at the metallic pommel cap.The underneath (invisible) rat tail tang is further secured to the wooden handle by 3 x rivets (all the way through) that are visible from outside on both sides of the handle. The rat tail tang stays inside the one piece wooden handle thus is not visible from outside. This unique and more effective process is done for stronger fixture and to withstand the hardest blows or impacts as the single solid wooden grip applied avoids the rare case of displacement like in the Panawals (2 x wooden pieces attached). Further the reinforced rivets make sure that the tang is always and firmly secured to the handle. Traditional ridges are discarded to make holding easier and more comfortable. A see through hole is also made for lanyard wrist-cord. All this specialities makes this kukri machete so special.